Electronics recycling and remarketing, which we call e-Compost™, requires strong controls over scheduling, tracking and reporting. Our simple yet comprehensive e-Compost™ application delivers peace of mind. Today Christie Technology Corporation announced it has released their proprietary e-Compost™ green IT Asset Management tool. “After rigorous testing and comprehensive pilot testing, our e-Compost™ application is ready for production” said Cynthia Christie-Duke, Christie Technology Corporation’s President. Ms. Christie-Duke has over 25 years of IT technical experience and IT asset management experience. Please contact her directly at info(at)ChristieTechnology(dot)com. Christie Technology®, a Women’s Business Enterprise (WBE), offers sustainable IT solutions including hosting/cloud computing in a 100% wind powered data center, Cisco® solutions, and IT asset disposal/reuse/recycle services. What makes Christie Technology unique is their breadth of quality processing centers, their quality job management and comprehensive reporting tools, and their accurate and timely deliverables. Using Christie Technology’s proven Closest to our Customer Process, their goal is to have customers’ electronics processed within miles from where they are picked up. Think Local, Simple and Sustainable!™We are committed to providing local services, making things simple for our customers and respecting our environment. 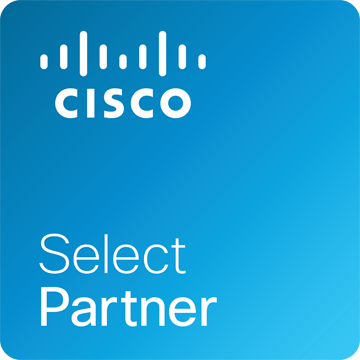 Authorized Cisco® Reseller.